Definition: Small dumplings made from potato, semolina or flour. Introducing our pasta series where we take a closer look at the hand-made pasta variations that our chefs make daily. First up, gnocchi. These small dough-like parcels of deliciousness are certainly not to be underestimated. 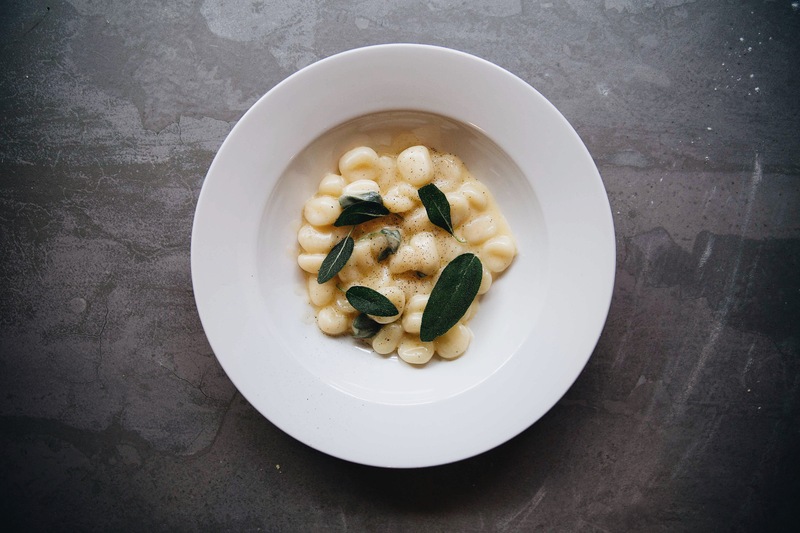 Gnocchi is carefully moulded into different shapes that correlate to different regions of Italy. The shape of the gnocchi usually determines the consistency and texture of what sauce it would go best with. 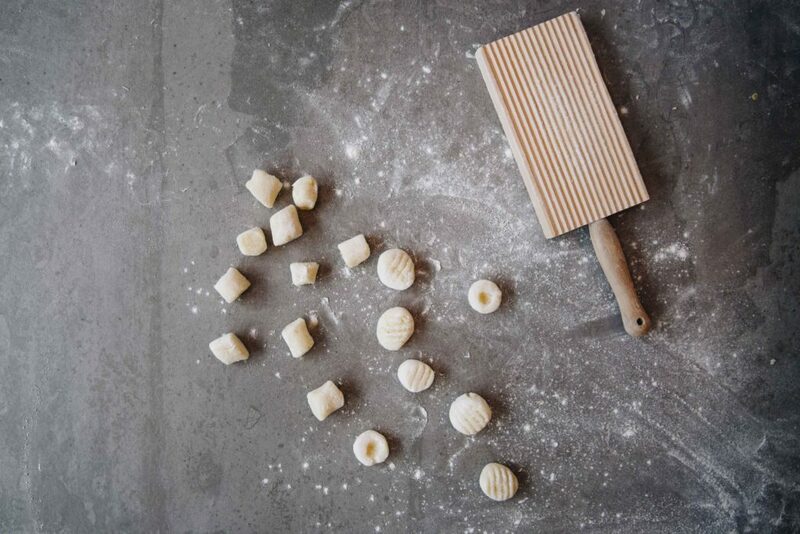 The gnocchi we currently serve at Bancone has thumb-pressed dimples and ridges created with a paddle (scroll down to see exactly how they’re made). These natural dips allow our silky sage butter sauce to form in pools in the dumplings so each mouthful is a perfect combination between the two textures. 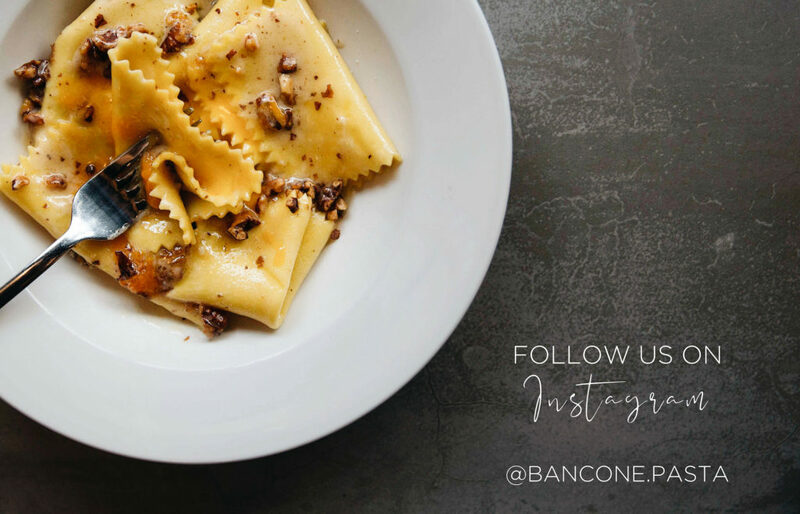 Let’s leave the experts in the kitchen to make the gnocchi but here’s our simple sage butter recipe for you to try at home…Use #BanconePastaSeries to show us how you get on! Bring vegetable oil to 180 degrees C. in a small pan. Add 5 sage leaves and fry until crispy then remove and set aside on a kitchen towel. Bring a frying pan to a medium heat and add butter. Fry 10 sage leaves lightly without colouring. Bring a pot of salted water to a rolling boil and add gnocchi. Add a ladle of the water to the sage butter and emulsify by swirling the pan gently to combine butter and water. Drain the gnocchi and add to your emulsion. Garnish with fried sage and serve immediately.